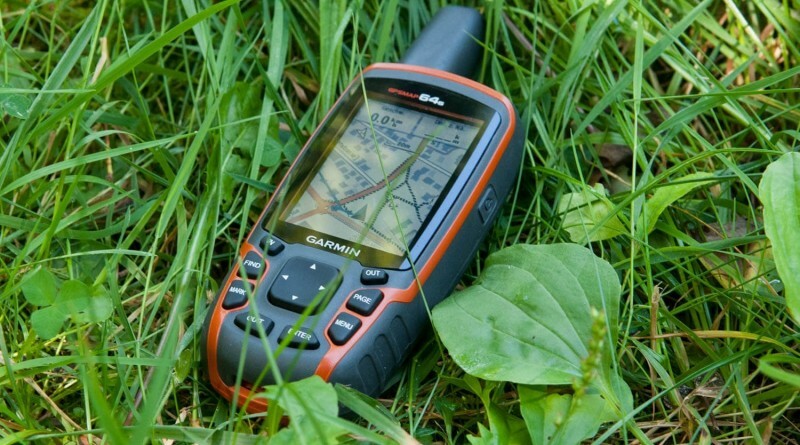 With the abundance of handheld Garmin GPS units available right now, deciding which Garmin to buy can be confusing. Trawling through the range of features to make the ideal choice can be time consuming. To help you narrow down your choice, we’ve listed our top 5 handheld Garmin GPS units of 2015.
eTrex 10 is an incredibly popular and reliable handheld GPS unit. Well designed and tough, easy-to-use interface, paperless geocaching, a worldwide basemap and very long battery life add up to a real contender for the best handheld Garmin GPS device of 2015. The eTrex 10 will display where you are as a grid reference, and points you in the direction of your destination. It has a 2.2 inch monochrome display that is easy to read in a wide array of lighting condiitons. The easy-to-use interface means it’s simple to use, and you’ll spend less time searching for the information you want. Tough and waterproof, the eTrex 10 is built to withstand the elements, including dust, dirt, humidity or water. There is a joystick to select menu functions making gloved use simple. There is also a ‘back’ button for retracing progress through menus and screens. Paperless geocaching is simple by downloading GPX files for geocaches and details straight to your unit. The eTrex 10 stores and displays all the information you need, including location, terrain, difficulty, hints and descriptions, so there’s no need to manually enter coordinates and paper print outs – upload the geocache to your device and start hunting for caches. With its highly accurate EGNOS-enabled GPS receiver and HotFix satellite prediction, eTrex 10 locates your position quickly and precisely and maintains its GPS location regardless of heavy cover and deep valleys. Additionally,the new eTrex series is the first-ever consumer level receivers that can track both GPS and GLONASS satellites simultaneously. When using GLONASS satellites, the time it takes for the receiver to “lock on” to a position is much faster than using GPS alone. Check user reviews and latest prices for the Garmin eTrex 10 Outdoor Handheld GPS Unit on Amazon. 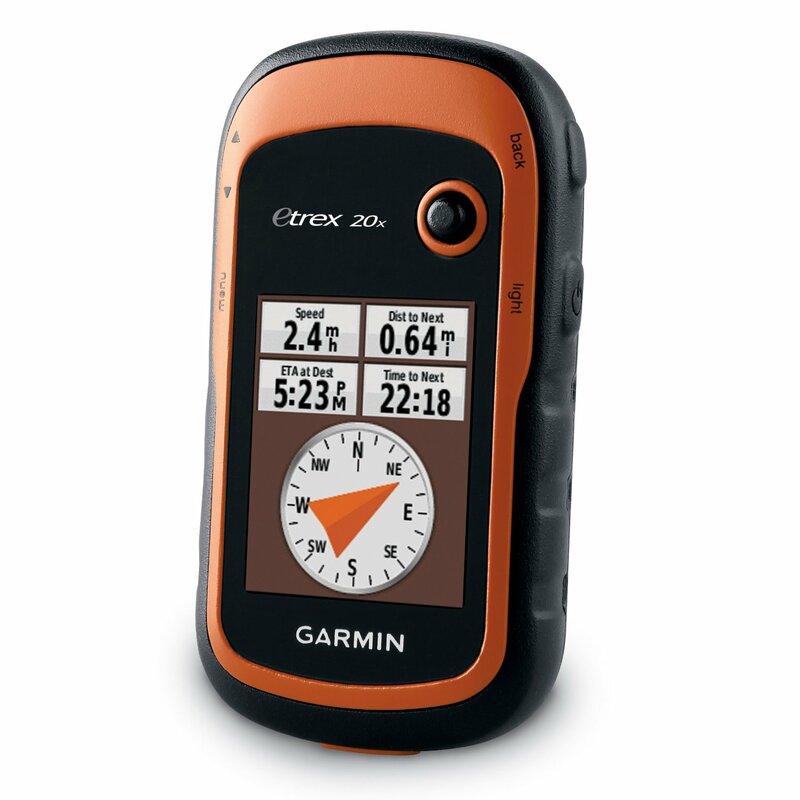 The Garmin eTrex 20x is the enhanced version of the eTrex 20 handheld GPS unit, and features an upgraded screen resolution and expanded internal memory for the preloaded mapping Garmin TopoActive Western Europe map. It includes information that is useful for recreational activities such as hiking and cycling. This tough, reliable GPS device is very easy to use and reasonably priced. In terms of accessories, there are selection of compatible mounts for use on bicycles, boats and motorbikes. The eTrex 20x can track both GPS and GLONASS satellites simultaneously for improved accuracy, even in difficult conditions. This portable GPS unit also supports geocaching GPX files for downloading geocaches and details straight to your device. 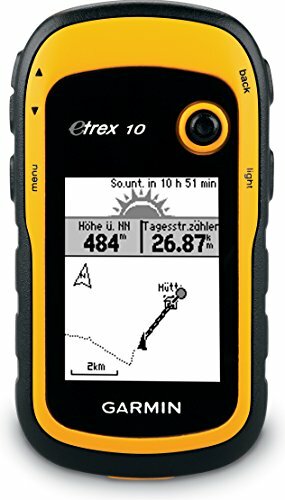 Check user reviews and latest prices for the Garmin eTrex 20x Outdoor Handheld GPS Unit with TopoActive Western Europe Maps on Amazon. 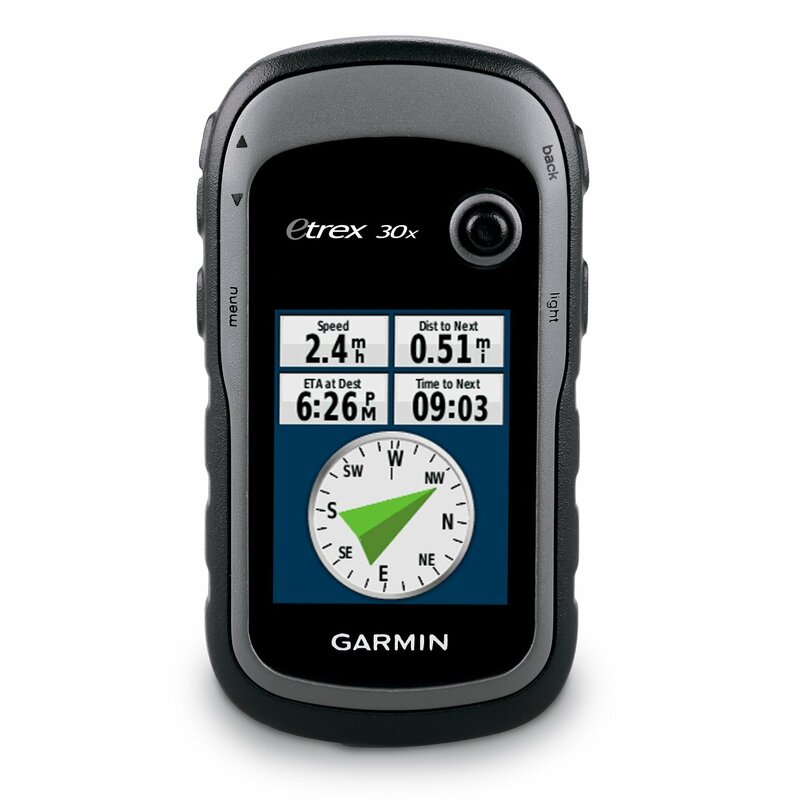 The Garmin eTrex 30x is the the latest version of the popular Garmin eTrex 30 handheld GPS unit. 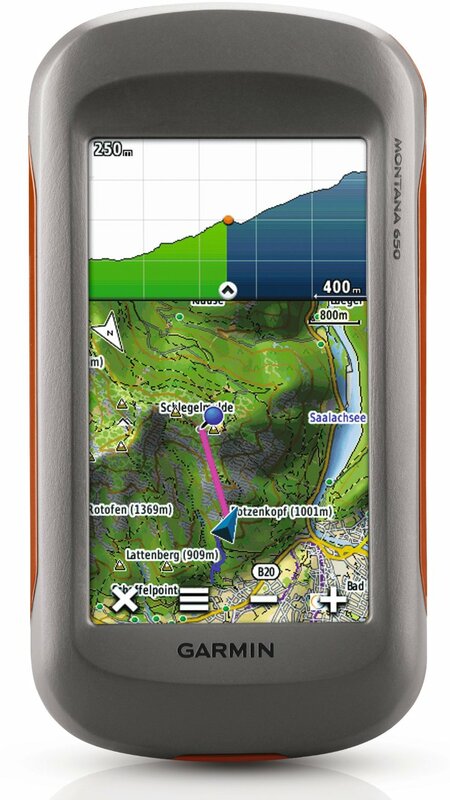 It features an enhanced display resolution and larger internal memory, meaning it can hold the preloaded mapping Garmin TopoActive Western Europe map, which includes information that is perfect for recreational activities (such as hiking and cycling). This robust, reliable GPS unit retains the simplicity-of-use and affordability that the eTrex range is well known for. As for accessories, there are many compatible mounts for on bicycles, boats and motorbikes. The new eTrex 30x can also use both GPS and GLONASS satellites simultaneously for added accuracy. Add to that a 3-axis tilt-compensated electronic compass and barometric altimeter, and you’re all set for any adventure. Check user reviews and latest prices for the Garmin eTrex 30x Outdoor Handheld GPS Unit with TopoActive Western Europe Maps on Amazon. The Garmin GPSMAP 64s handheld navigator includes a 2.6″ sunlight viewable display, and a both GPS and GLONASS receivers for added accuracy. With a quad helix antenna, this portable GPS device has excellent reception. The tough and waterproof GPSMAP 64s also features a barometric altimeter and a 3-axis compass. It will wirelessly connect to your smartphone for Live Tracking and Smart Notification. Check user reviews and latest prices for the Garmin GPSMAP 64s Handheld Navigator on Amazon. Garmin’s Montana 650 from Garmin is definitely a multipurpose portable GPS unit. The 4” sunlight-readable touchscreen displays vibrant colours and is dual orientation. The high sensitivity HotFix positioning will track your location accurately, and the device is both tough and waterproof. The Montana has a 3-axis tilt-compensated compass which shows your heading even when you’re stationary and without holding the device level. It features a barometric altimeter which tracks changes in pressure to measure your exact altitude, and you can plot barometric pressure over time to help you forecast changing weather conditions. The Montana 650’s 5-megapixel digital camera takes images that are automatically geotagged with the location, so you to navigate back to that exact location in the future. 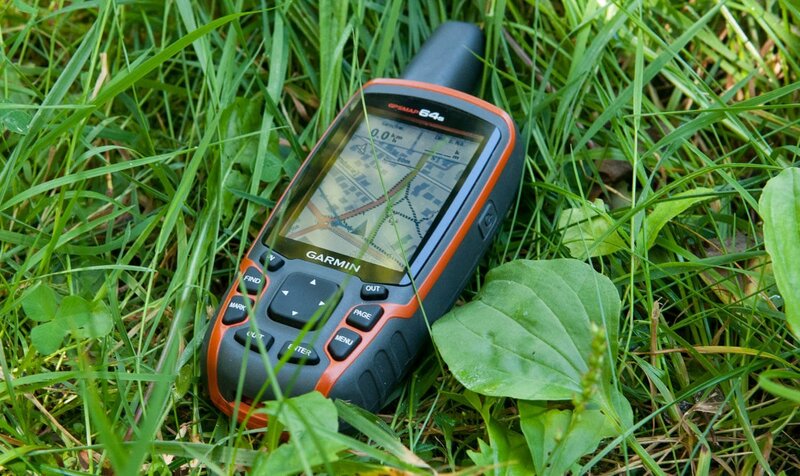 You can keep note of your photos and show their location on a map, by connecting the Montana 650 via USB to Garmin’s free BaseCamp™ software. There is a choice of compatible mounts available, for use on boats, as a handheld, off roading or in your car. You can use the car mount with City Navigator or Garmin GB maps for spoken turn-by-turn driving directions. Another useful feature of the Montana 650 is its one-of-a-kind dual battery system. You can use the rechargeable lithium-ion pack or traditional AA alkaline batteries. Check user reviews and latest prices for the Garmin Montana 650 Outdoor Handheld GPS Unit on Amazon. So there you have it, some of the best Garmin GPS devices around at the moment. Hopefully one of these handheld GPS units will fit your budget and activity needs, and we hope we’ve helped you decide which Garmin to buy. and thought I might check things out.I like what I see so now i am following you.